Welcome to the ECC Travel Abroad Program blog! 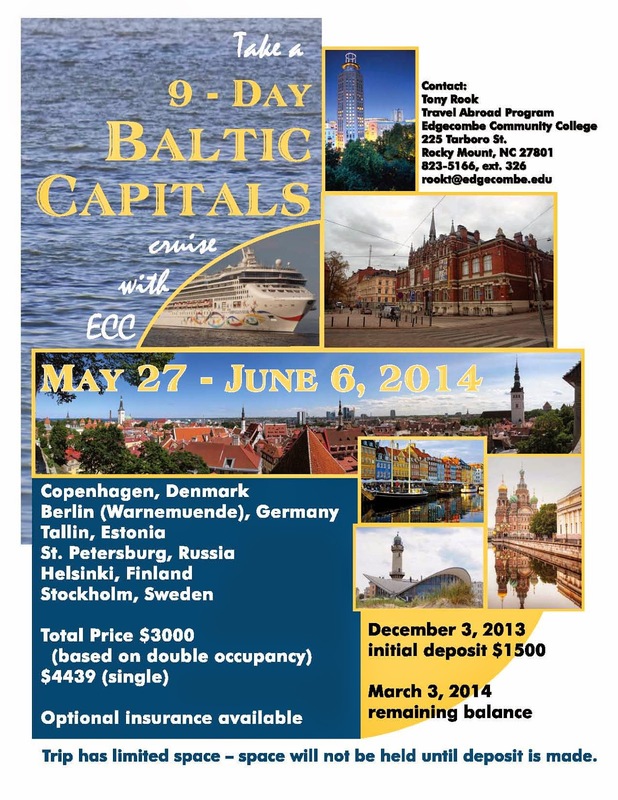 Join us on our upcoming 9-Day Baltic Capitals cruise, May 27 - June 6, 2014. Just click on the image below for more information. While you're here, read some of the previous posts and see pictures from our 2013 trip to Great Britain, and out 2012 trip to Spain. Follow along as we blog about our journey beginning on May 27.